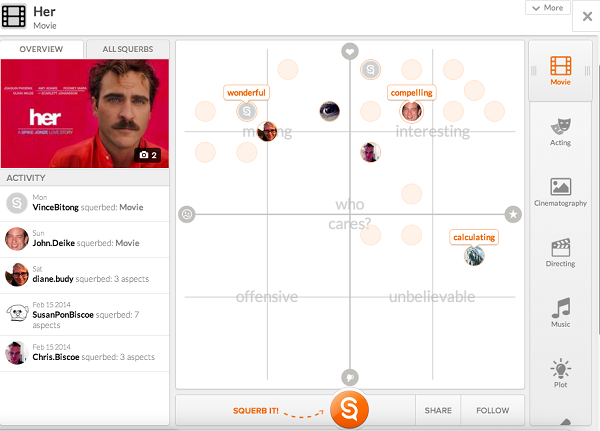 Squerb enables users to plot their opinions on the axis of intelligence and emotion. According to Biscoe, social analytics and engagement metrics are pretty one dimensional. There is a lot of data on likes, retweets and shares — and sometimes sentiment — but no insight into the rationale behind the sentiment. 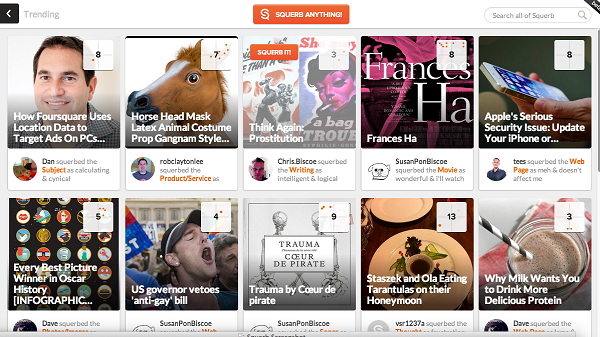 Squerb, which bills itself as a platform that allows users to share what they think and see what others think as well. According to Biscoe, the goal was to visually replicate the efficiencies of the 1-5 ratings and like buttons, and allow users to provide additional comments. Users can “squerb” anything including music, restaurants and events using a graph divided on the axis of intelligence and emotion. And since there is so much nuance in the world, users can also squerb “aspects” of a given topic. Biscoe used a restaurant example, pointing out that you might have different things you want to rate, including the food, service and music. Biscoe says Squerb launched a prototype at SXSW last year and currently has about 300 users. The service launching in beta at SXSW this weekend. One of the challenges to adoption over the last year was the social feedback mechanism. However, starting today, users can follow other users and get notifications when someone comments on your squerb. They’ve also plugged into an entity database, which makes it easier to squerb people and things, and populates relevant aspects as well. 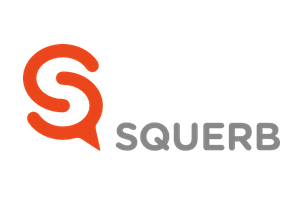 For data-hungry social media marketers, Squerb generates a data point with which to connect and understand consumers. “We’re starting with the presupposition that people’s opinions are really quite valuable, and if you can quantify them, they’re even more valuable,” Biscoe says. He says Squerb takes it a step further and gives consumers complete discretion over whether or not they want to share their opinions with brands. While for now, Squerb is a network all its own, Biscoe says he sees an opportunity to develop an API strategy for businesses to integrate Squerb into their existing technologies. In the end, the value is in the data created and the insight into what people think.